This Trivium Estate wedding was seriously perfect! I love Fall weddings- the light, the weather- it's all We left the night saying to each other how nothing seemed to go wrong the entire day! But that's not surprising to me considering all the amazing vendors set into place with the all-inclusive package that Lauren & Bradford booked with The Trivium Estate! The morning started with Lauren & her best friends in the bridal suite getting ready together and laughing together! And their ceremony was so beautiful! They chose to get married down at the gazebo overlooking the pond and the trees starting to turn! So gorgeous!! During their ceremony, they chose to plant a tree together- each providing dirt from their childhood homes. How precious is this?! I've never seen this as part of the ceremony, but I loved it! These two are both pharmacists and their chemistry was mentioned in their ceremony and the maid of honor reception speeches & you can see it when you watch them together! Smiling and Laughing all day! The best!! Their reception was a blast! The band did such an excellent job getting everyone up and on the dance floor the entire night!! A good band is so much fun at a wedding! Thanks to the vendor DREAM TEAM for this wedding! 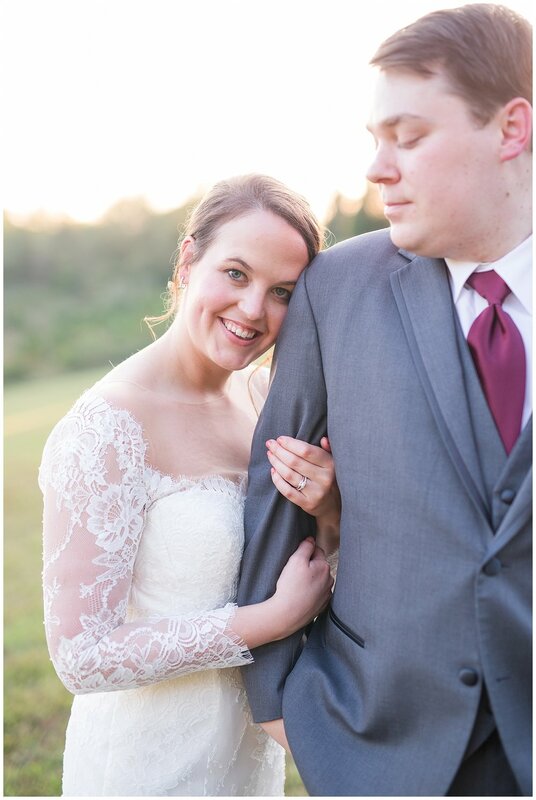 Love our Lynchburg wedding community so much, and it's always such an honor to work alongside so much talent! !